The Whistler WS1098 is a desktop/mobile multi-system adaptive digital tracking trunking scanner with Motorola P25 Phase I, X2-TDMA and Phase II capabilities. All USA/Canada frequencies are pre-programmed onto the included SD card making it ready to use out of the box. This model features an easy to use navigation with a multifunction keypad and includes a PC program for easy customization. It also includes a USB cable and PC software. It also has Virtual Scanner mode that can store 200 various scanner configurations. The WS1098 permits recording by scannable object and saves into a Windows compatible file. 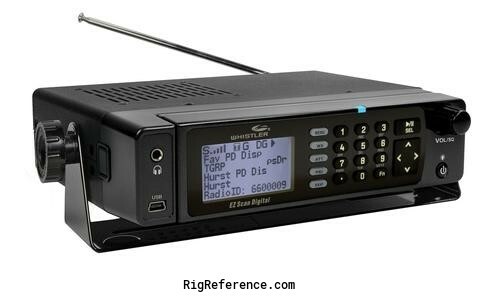 Estimating the value of a rig can be challenging. We collect prices paid by real hams over the years to help you estimate the current value of the Whistler WS1098. Just bought or sold this model? Let us know what you traded it for and help other ham operators!